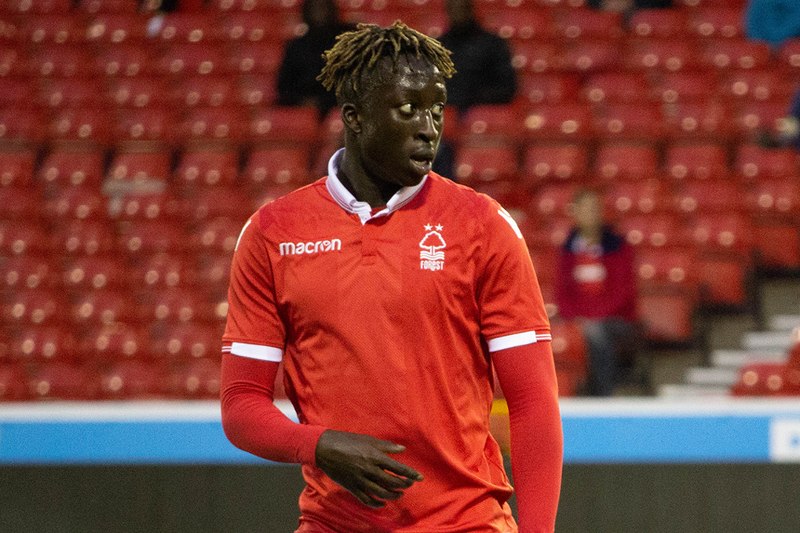 A hat-trick from Virgil Gomis (pictured) clinched Nottingham Forest's place in the Premier League Cup knockout stages as they beat Exeter City 5-0 to top Group D.
Their fourth win out of four puts them seven points clear of second-placed Leicester City with two matches left to play. Leicester maintained their three-point gap over Norwich City as the two sides drew 1-1. Also maintaining their 100 per cent record were Sunderland, who beat Charlton Athletic 3-1 away to go five points clear at the top of Group A, where Peterborough United stunned Stoke City 2-1 to earn their first points. This was not the only shock result of the evening. Leeds United handed Southampton their first defeat in the competition this season, a 3-2 victory over the Group H leaders moving them within one point of Saints and second-placed Newcastle United as they compete for the two qualification positions. In Group B, Doncaster Rovers earned their first point and ended the perfect run in the competition of Premier League 2 Division 1 leaders Everton with a 3-3 draw, while Blackburn Rovers beat Sheffield United 3-0 to go second. Wolverhampton Wanderers moved top of Group E with a 1-0 victory over bottom club Hull City. Derby County are favourites to join group leaders Aston Villa in qualifying from Group F after they beat Plymouth Argyle 4-0 at home.